If you enjoy painting and are looking for new business opportunities, you may be looking to invest in a painting franchise. The benefit of owning a franchise is the brand you invest in. You gain access to the company’s expertise and customers recognize your brand. Here are the top painting franchise opportunities for entrepreneurs looking to invest. Franchising since 1992, CertaPro Painters, Ltd. is consistently ranked as one of the top 500 franchises for entrepreneurs. This Pennsylvania-based franchisor is one of the longest running painting franchises in the industry. CertaPro has over 400 locations worldwide and is the largest painting company in North America. The size and longevity of this franchise offer entrepreneurs an opportunity to join experts in this field. 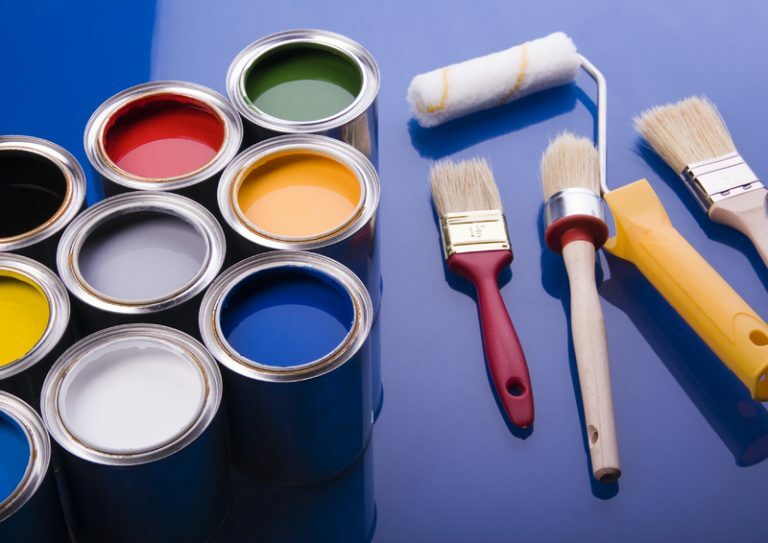 The business offers painting in both residential and commercial environments. Initial investment for a CertaPro painting franchise is over $130,000. $75,000 of that must be in liquid assets or cash. The franchisor collects a 5% royalty from sales and requires a 3% investment in advertisement. If you are considering starting a painting franchise, CertaPro Painters, Ltd. is one of the biggest and most well-established options available. America’s Color Consultants, founded in 2007, offers a new painting franchise opportunity for entrepreneurs. Although the company only began franchising in 2013, the low costs for franchisees makes them a worthwhile consideration. The initial franchise fee for this painting franchise is just $8,00. In addition, their ad royalty fee is just 1%. However, the ongoing royalty fees are a bit less palatable, at 6%. America’s Color Consultants franchises also offer financing options for those in need. If you want one of the newest low-cost painting franchises, consider America’s Color Consultants. Fresh Coat is currently ranked among the top 500 franchises for entrepreneurs. This Ohio-based franchisor has been in business since 2005 and has over 130 franchise units. Initial investment is around $50,000. 90% of this must be in liquid assets or cash. Fresh Coat offers a discount to veterans and encourages entrepreneurs to start the business by working from home. Their royalty fee on sales is 6% with a required 2% investment in advertising. If you are looking for a top painting franchise with a low investment cost, consider Fresh Coat. Close on the heels of Fresh Coat, Five Star Painting is another painting franchise that is listed as one of the top 500. This company was launched by three friends in 2002. Five years later, in 2005, franchising opportunities began. Now based in Texas, this franchisor has over 90 locations. They are part of The Dwyer Group, who pride themselves on running top franchises adhering to three core values; respect, integrity, and customer focus. Initial investment depends on a number of factors and can be anywhere from $60,000 to $130,000. $50,000 is required in liquid capital. In addition, you can expect royalty and advertising fees of 6% and 2%, respectively. Five Star Painting is worth consideration if you want a company backed by a large team of support. 360° Painting is a little smaller than previous options, with just over 60 locations at this time. Franchising since 2006, this Virginia-based company offers a low initial investment of $40,000 for any futurepreneur. They require royalty and advertising fees of 6% and 2% respectively, similar to other franchises in this post. 360° Painting has proprietary sales and estimating techniques to help give you a competitive edge in this $15 billion industry. The company likes to stress that you do not need to be a painter in order to be successful with their company. If you want to run a painting franchise but you are not a professional painter, 360° Painting is an excellent choice. This painting franchise is a little different. Painting with a Twist is part of a relatively new concept called a paint-and-sip studio. Customers bring wine or another favorite beverage and are taught how to paint one of the studio’s copyrighted works of art. Popular among bridal parties and local community events, this franchise started in 2007 as one studio called Corks N Canvas. Two years later, the owners decided to offer franchises. Very quickly, Painting with a Twist cracked the list of 500 best franchises. They claim to be the #1 franchise in the paint-and-sip studio industry. Initial investment is around $100,000, half of which must be in liquid capital. A standard royalty fee of 6% and advertising fee of 2% is also required. If you want a slightly different painting franchise with excellent growth potential, Painting with a Twist might be the business for you. Painting franchises are one of the best businesses to start. Everyone needs to hire the services of a painter at some point in their life. Entrepreneurs looking to start a painting franchise have several excellent options. CertaPro Painters, Ltd. offer years of expertise and are the largest in the business. Fresh Coat and Five Star Painting offer similar levels of experience, but investment fees vary. 360° Painting is a smaller company that offers a proprietary sales experience to be competitive. Finally, Painting with a Twist offers a unique opportunity combining painting with leisure. If you are looking to join this $15 billion industry, remember the painting franchise opportunities detailed in this post.